What do the reviews of Stream Energy say? Stream Energy is a Texas-based company that sells energy to consumers in nine states and has recently experienced a surge in demand for its products and services. In addition to its core business of providing energy, Stream also uses direct selling tools to sell energy services and wireless packages. Stream Energy prides itself on offering innovative products at attractive price points. This has allowed Stream to quickly grow its core and subsidiary businesses, expanding them into even more states. But Stream Energy also recognizes that consumers do not make their decisions solely based on price point. They also want to know that they’ll receive a high-quality service. First, the reviews note that even though Stream Energy began as an energy provider, the company has since diversified its services. 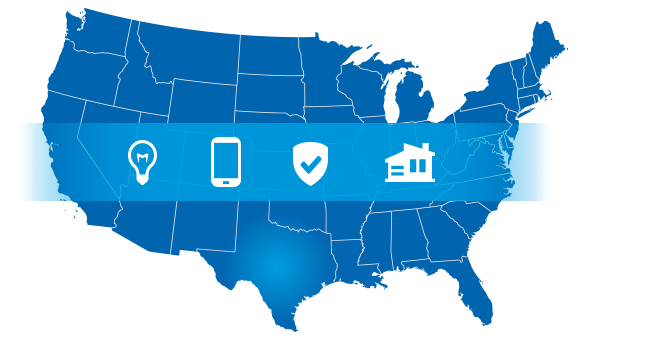 It now offers services in four distinct areas: energy, wireless, protection, and home. This could be a distinct marketing advantage for Stream Energy, since some consumers like to keep all of their accounts with a single company for ease of billing. Given that Stream offers different services, it is important to look at the different divisions and service offerings. As Stream’s name suggests, it was originally founded to provide energy services to residents of Texas. Over the years since its inception, it has expanded into a variety of other states, and its future growth outlook remains positive. It is likely to increase its geographic footprint in the years to come. Recognizing that consumers have different needs and preferences, Stream offers choices in terms of energy sources. Consumers can choose between electric, natural gas, and clean or renewable energy sources. In reviews, many consumers highlight this as one of the best features of Steam. And many consumers respond particularly positively to the clean energy option. It’s worth noting that Stream gets its renewable energy from a wide range of sources such as wind turbines, solar panels, and hydro-power plants. This allows the company to keep costs down which, in turn, means that customers will likely be satisfied. In addition to satisfying customers with its green option, many reviewers mention that they are pleased with Stream’s recognition of the important role that technology plays in many consumers’ lives. To that end, Stream offers a Smart 30 Thermostat Plan. This plan allows a user to control their thermostat remotely from a smartphone or other device. This is a great feature, particularly in areas where weather can be highly uncertain. In addition to these benefits, many consumers point to the fact that they are able to save a significant amount of money after they switch from their local utility providers to one of Stream’s fixed-rate plans. These cost savings may differ across consumers, depending on what fees local utility companies charge. Stream offers one of the most attractive wireless packages on the market in its All In package. This package offers unlimited data, talk, and text on a state-of-the-art, nationwide 4G network. Consumers routinely report that they are thrilled with the speed and consistent quality of this network. The words “reliability” and “flexibility” are frequently mentioned by consumers. Protective services is another new area that Stream has launched, attempting to capitalize on consumers’ changing needs and preferences. There are five protective service offerings: Virtual MD, roadside assistance, credit monitoring, identity protection, and tech support. First, Stream offers identity theft and credit monitoring services that allow users to get near real-time pictures of what is happening in their lives. If necessary, Stream can respond to any challenges or concerns that come up. Users remark on how much they appreciate that customer service is available 24/7 to address any of their concerns. And, to make it even more user-friendly, Stream allows users to interact with customer service representatives using a variety of different channels. These well-regarded identity theft and credit monitoring services are not Stream’s only services that fall under the protective umbrella. Two other services are gaining increased attention. The first is the Virtual MD program that allows people the opportunity to get medical care remotely. This program clearly springs from an understanding of the fact that healthcare is increasingly expensive, and many consumers are priced out of vital services. Virtual MD offers these services at a price that almost everyone can afford, improving healthcare accessibility. The second service that also generates positive public perception is Roadside Assistance. This comprehensive assistance program offers technical support, as well as towing services. Although some of these programs have not existed for as long as others, it does seem that the public reaction to everything that falls under the Protective umbrella has been very positive. These offerings tap into what consumers really want: low-cost and personalized services to make their lives function more smoothly. This is the final broad category that Stream Energy’s services fall into. With the home services offerings, the company recognizes the fact that many Americans crave connectivity, especially when they’re on the road or otherwise away from home. Most of these services are bundled as part of the Stream Digital Voice service package. Is Stream Energy a Good Employer? A wide range of anecdotal stories and reviews seem to suggest that Stream Energy is a great employer that places emphasis on hiring a diverse workforce. Over the past few years, Stream Energy has been thriving and growing very quickly, thus creating abundant opportunity for its employees. The company continues to grow its geographic footprint while simultaneously increasing the scope of services that it offers. The rapid growth and introduction of new products means that employees feel like their jobs are secure at Stream Energy. This is not the only benefit that Stream Energy offers to its employees. In addition to its regular employees, Stream Energy offers a program for Independent Associates. Sometimes, Independent Associates are people who have used Stream Energy’s services and appreciate the benefits that the company offers. But you don’t have to be a Stream customer to become an Independent Associate; the opportunity is available to anyone who is interested. These Independent Associates have the opportunity to sell Stream Energy’s services to friends and family members, often giving them access to additional perks. This is a great way for people to earn extra money to tackle bills. It is also an attractive choice for mothers with young children who may need significant flexibility in their jobs. Reviews from Independent Associates are extremely positive. These Associates appreciate the opportunity to earn money by selling products and services that they truly enjoy. Also, the Independent Associates don’t feel the stress and pressure to make sales that one may find in other business structures. Associates love the flexibility, and they also appreciate the fact that they don’t necessarily need to have a business background to succeed in this role. Instead, they will thrive with good communication skills and the ability to leverage their extensive networks. The Stream Energy team recognizes the importance of having a diverse workforce that reflects its customer base. Therefore, it works hard to hire diverse employees and make the Independent Associate opportunity available to anyone interested in enrolling. It also ensures that both its employees and Independent Associates have the necessary resources to flourish in their roles. As Stream Energy continues to grow and develop in the years to come, expanding its geographic footprint, increasing its customer base, and helping more people follow their entrepreneurial dreams, more reviews will come forth. It’s safe to say that, if these reviews continue to follow current trends, they will highlight many of the advantages that the company has over its competitors. As indicated above, Stream Energy has numerous comparative advantages. One advantage is that the company has been able to bring together seemingly unrelated services under the broad Stream Energy banner. Many of these new product offerings can be attributed to the fact that the Stream Energy team has always worked hard to stay one step ahead of its peers, anticipating changing consumer preferences and technological developments. A second advantage is the fact that the company, early in its development, recognized that consumers were looking for renewable energy and a more thoughtful approach to environmental challenges. Stream Energy stepped up to address these concerns. Stream now allows consumers to decide which type of energy they would like to purchase and includes a more environmentally friendly option. These are not the only perks that Stream Energy offers. Reviews show that the company has a strong track record of delivering outstanding services and products with high quality and low prices. Reviews also show that Stream Energy is a great employer that works hard to build and encourage a diverse workforce.